King County Housing Authority is a public housing agency in Tukwila, Washington that participates in the Section 8 Housing Choice Voucher, and Public Housing programs. As of April 20th, 2019, King County Housing Authority has 5 waiting lists that are open now or opening soon. The Family Subsidized Housing Waiting List is open indefinitely. The Senior (55+) Subsidized Housing Waiting List is open indefinitely. The Senior (60+) Subsidized Housing Waiting List is open indefinitely. The Senior (62+) Subsidized Housing Waiting List is open indefinitely. The Disabled Subsidized Housing Waiting List is open indefinitely. King County Housing Authority serves King County but does not serve Renton and Seattle. The King County Housing Authority (KCHA) is currently accepting Family Subsidized Housing waiting list applications until further notice. Waiting lists for a specific community or bedroom size may be closed. Please note: A list of all Subsidized Housing Communities can be found here. Download and print the application online here. Select the "printable copy of the subsidized housing application" link in the first paragraph. Hand delivered applications must be delivered before 12:00 pm PT, Monday-Friday. This waiting list has the following preferences: Extremely low income, homeless, substandard housing, displaced by government action, displaced by natural disaster, victim of domestic violence, and rent burdened. For more information, visit the KCHA website, or call the office at (206) 574-1100. Applicants who need help completing the application due to disability can make a reasonable accommodation request to the housing authority via (206) 574-1100. The King County Housing Authority (KCHA) is currently accepting Senior (55+) Subsidized Housing waiting list applications until further notice. Waiting lists for a specific community or bedroom size may be closed. The King County Housing Authority (KCHA) is currently accepting Senior (60+) Subsidized Housing waiting list applications until further notice. Waiting lists for a specific community or bedroom size may be closed. 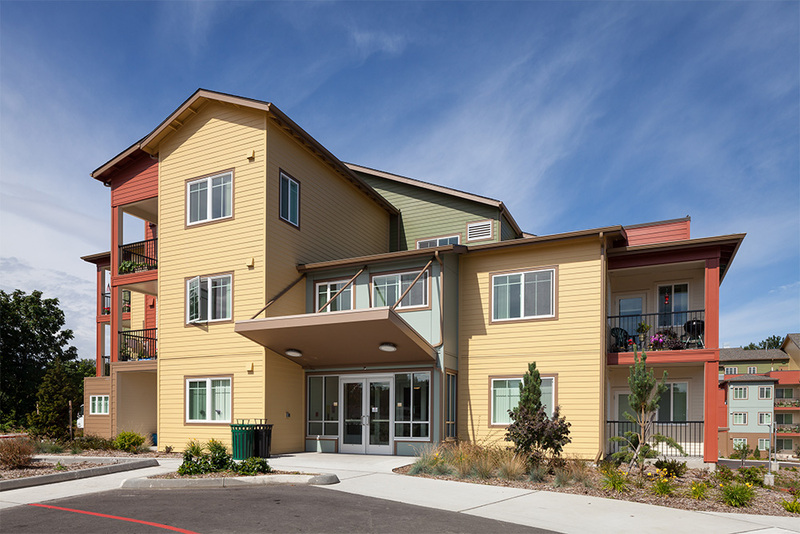 The King County Housing Authority (KCHA) is currently accepting Senior (62+) Subsidized Housing waiting list applications until further notice. Waiting lists for a specific community or bedroom size may be closed. The King County Housing Authority (KCHA) is currently accepting Disabled Subsidized Housing waiting list applications until further notice. Waiting lists for a specific community or bedroom size may be closed. The King County Housing Authority (KCHA) Section 8 Housing Choice Voucher waiting list is currently closed. It was last open for two weeks in April 2017; and before that for three weeks in January 2015, and in 2011. There is no notice of when this waiting list will reopen. To apply during the opening period, applicants were required to complete the online application. Only one application per household was accepted. Preferences have not yet been confirmed. We have left a message with the KCHA, and will update our page when more information becomes available. 3,500 applicants were placed on the waiting list by random lottery. In 2017, nearly 19,500 people applied, and in 2015, there were 22,000 applicants. The King County Housing Authority (KCHA) waiting list status for Other Low-Income Rental Housing waiting list applications is unknown. Waiting lists for a specific community or bedroom size may be closed. Please note: A list of all Other Low-Income Rental Housing Communities can be found here. To apply, contact the managing office of a community listed here. The King County Housing Authority (KCHA) waiting list status for Moderate-Income Housing waiting list applications is unknown. Waiting lists for a specific community or bedroom size may be closed. Please note: A list of all Moderate-Income Housing communities can be found here. More information about King County Housing Authority can be found on its website at http://www.kcha.org/. As of 04/20/2019, it is not known if King County Housing Authority is either absorbing or billing Section 8 Housing Choice Voucher portability requests for porting in. Learn more about porting Housing Choice Vouchers to a new area here. As of the most recent VMS report, King County Housing Authority manages 9,947 active Housing Choice Vouchers. According to the 2016 Q4 Picture of Subsidized Households database, the housing authority's voucher program has an annual turnover of 10% having issued approximately 1,208 vouchers in the past year. The average voucher holder has received housing benefits for 7 years and 6 months. According to the 2016 PSH database, persons who were issued a voucher in the preceding 12 months waited an average of -1 months on the waiting list1. According to 2016 Q4 Picture of Subsidized Households data, the average voucher household contains 2.6 persons and has a household income of $15,969 per year. 96% of households were very low income (VLI) and 81% were extremely low income (ELI). 32% of households had wages as a major source of income, 6% of households had welfare (TANF, General Assistance or Public Assistance) as their primary source of income, and 59% of households had other income (Social Security, Disability or Pension) as their major source of income. 2% of households were headed by a person 24 years old or less, 52% were headed by a person 25 to 49 years old, 23% were headed by a person 51 to 60 years old, and 24% were headed by a person 62 years old or older. In addition, 2% of households were headed by a person 85 years old or older. 46% of households included children, 10% of which had two adults in the household. 39% of households with children have a female head of household. 72% of all households were headed by a female. 57% of all voucher households were headed by minorities with 41% of all heads of households being Black and 0% being Hispanic. Of all households participating in the King County Housing Authority Housing Choice Voucher program, 19% include at least one person with a disability. 36% of households with a head of household 61 years or less were headed by a person with a disability. 61% of households headed by someone 62 or older were headed by a person with a disability. 36% of voucher holders reside in a home with zero or 1 bedroom, 35% with 2 bedrooms and 29% with 3 or more bedrooms. 7% of voucher recipients are considered overhoused, meaning they occupy a rental unit larger than their family size requires. The average monthly tenant contribution to rent by King County Housing Authority voucher holders in 2016 was $385 and the average monthly HUD expenditure per voucher holder was $979. The average utility allowance across all voucher recipients is $127.